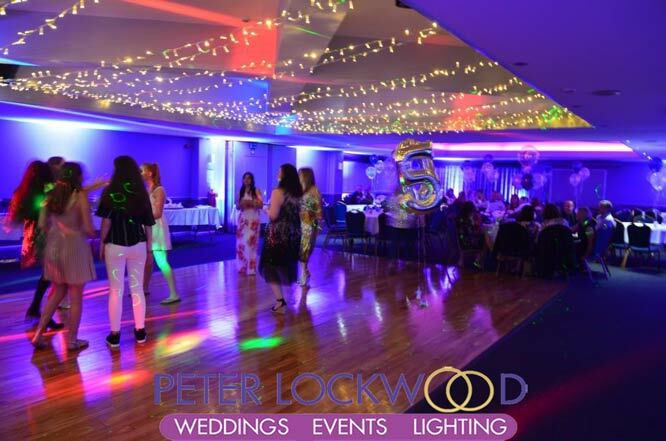 Swinton Golf Club UpLighting Put your stamp on the golf club with uplighting or a fairy light canopy over the dancefloor. 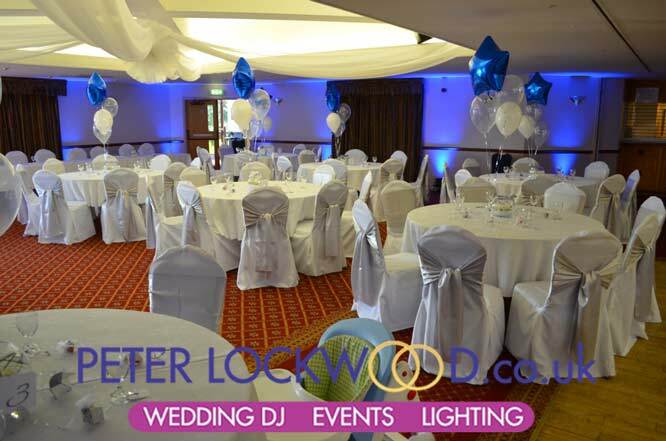 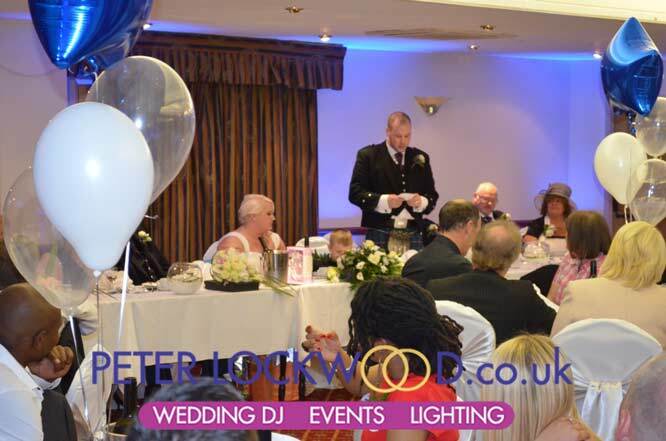 I provided Blue UpLighting for a Wedding in Swinton Golf Club. 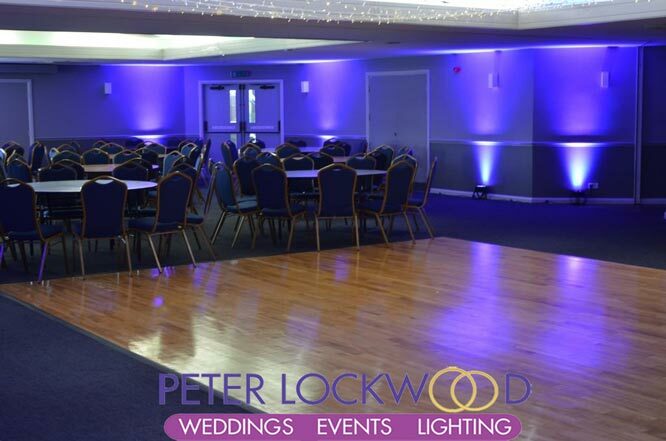 With the golf clubs function room having a very low ceiling, uplighting works great in transforming the way the room looks. 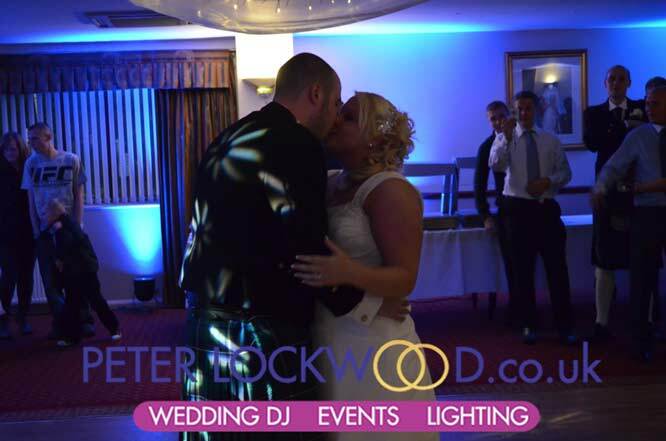 To view the pictures at full size please click on them. 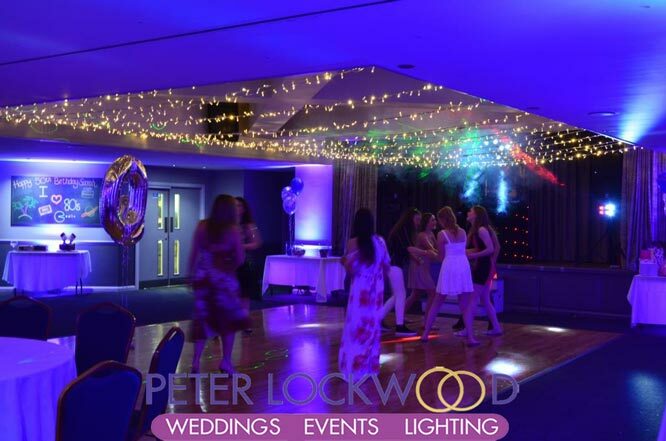 Swinton Golf Club UpLighting looks amazing add a fairy light canopy to make it look that bit more special.